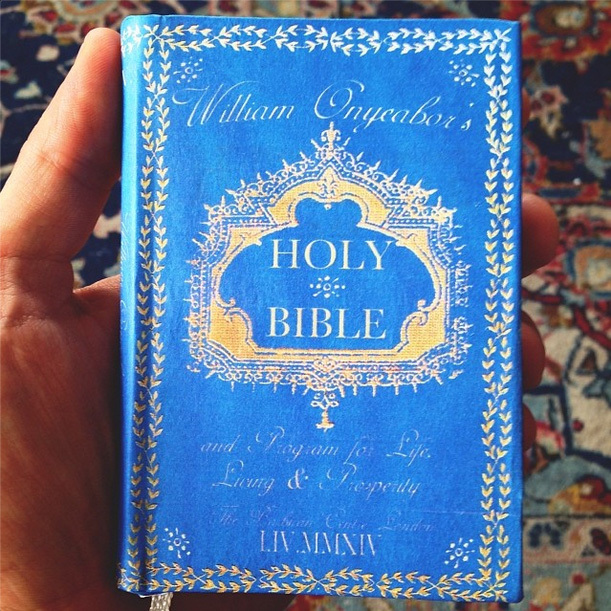 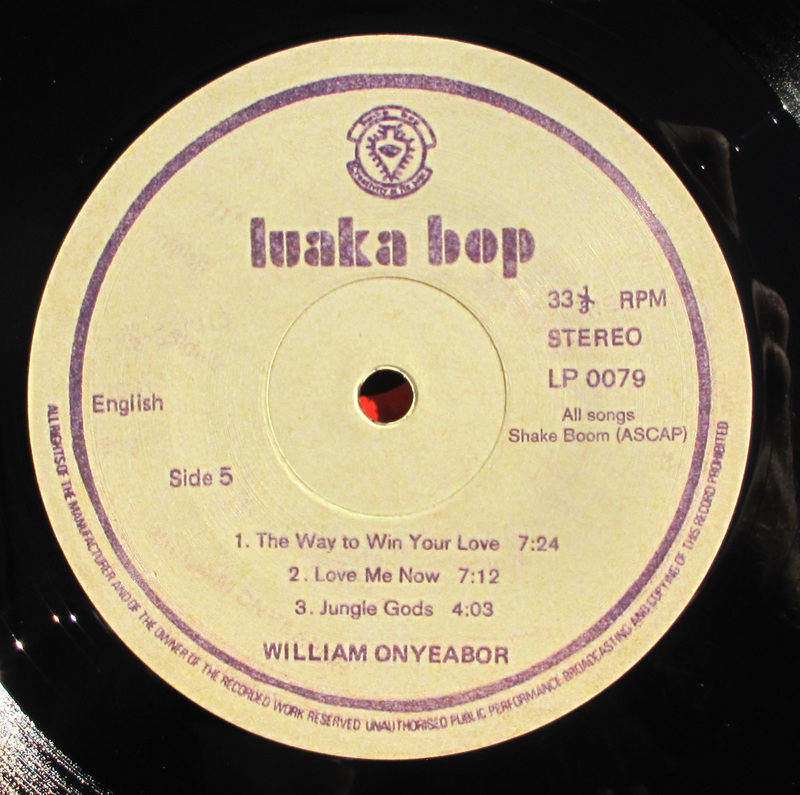 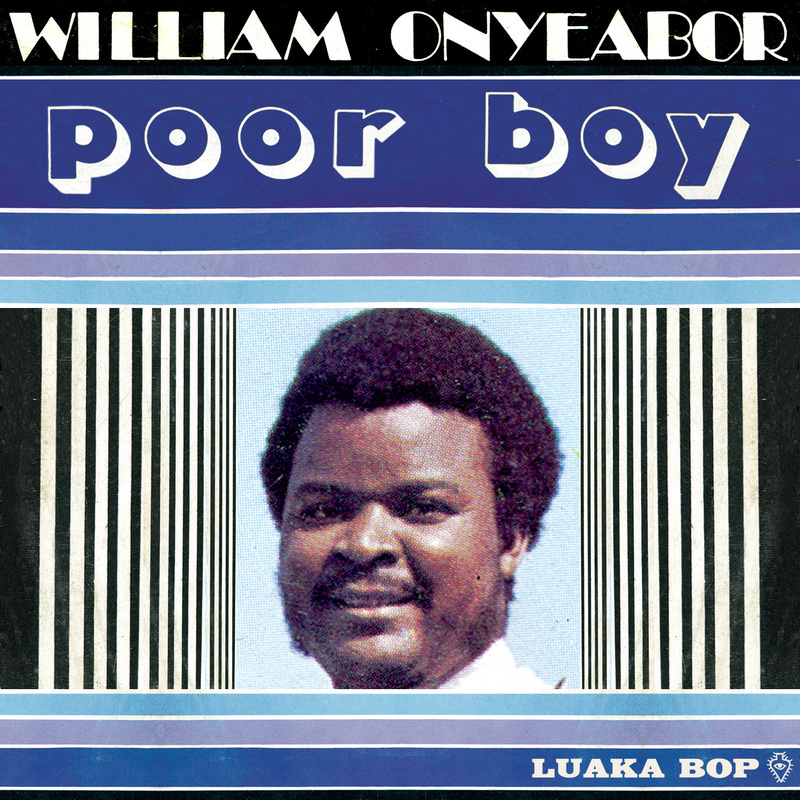 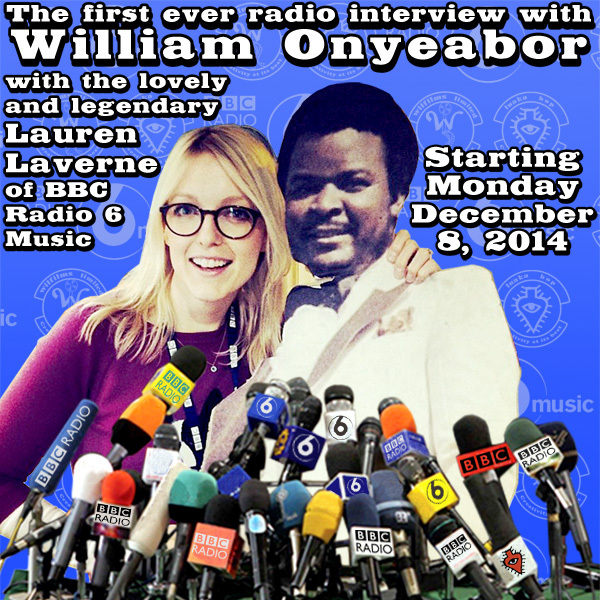 When Luaka Bop asked me to do the cover for Who is William Onyeabor? 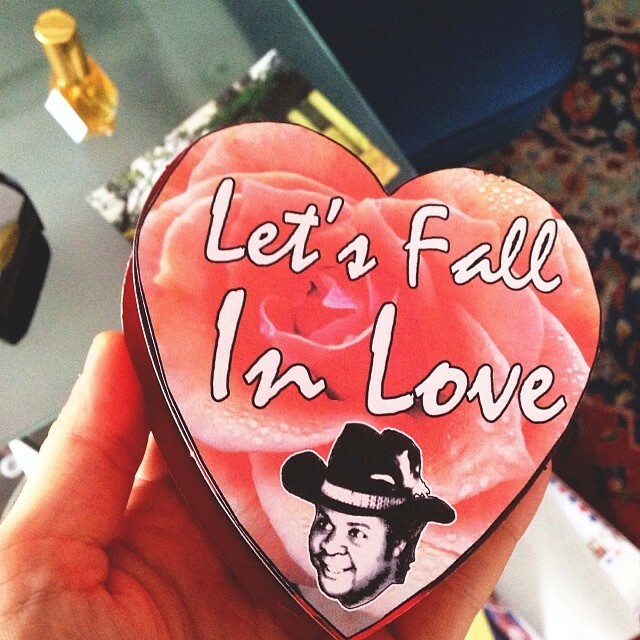 in 2013, I was overjoyed. 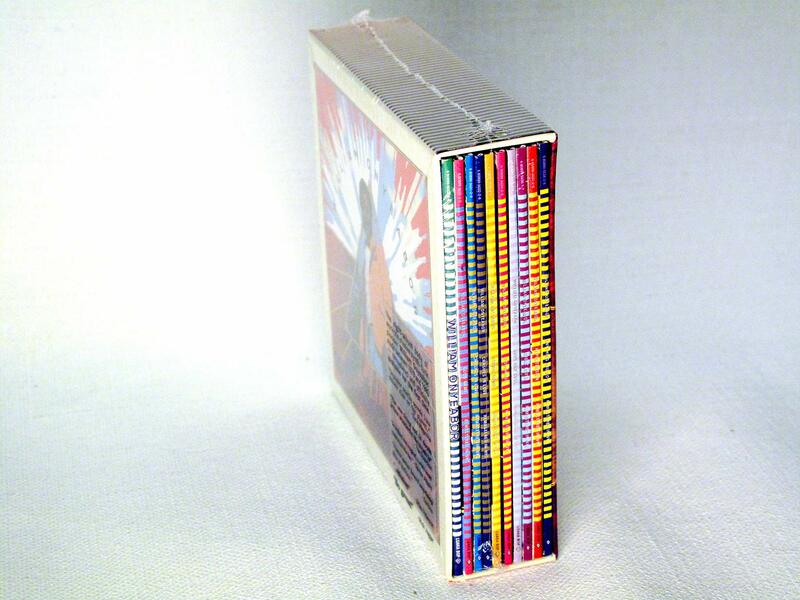 I was immediately aware of how far the reach for this cover would be, and set to making my best work. 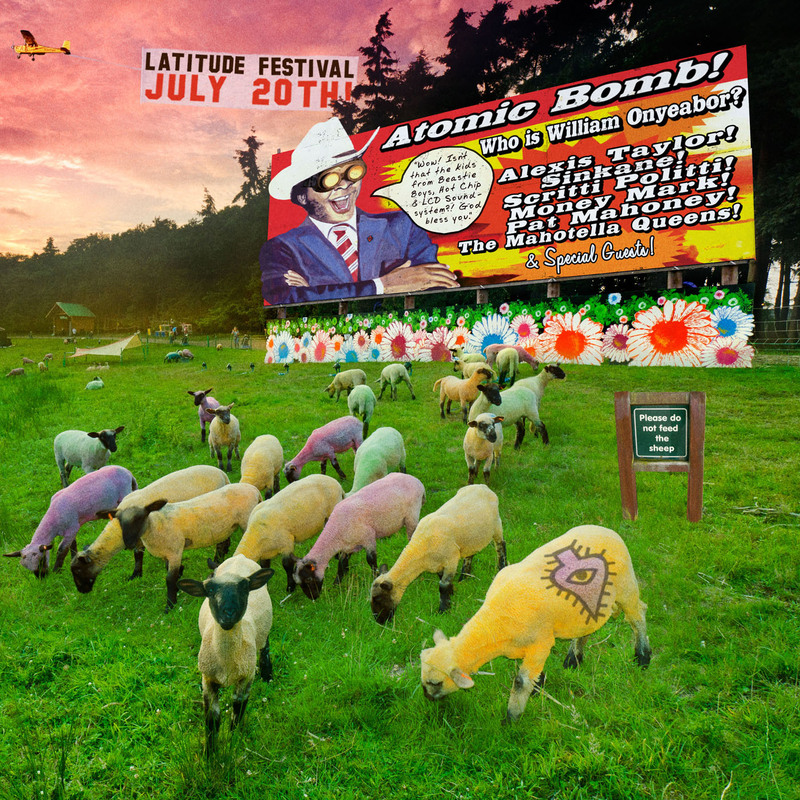 After some initial variations, we arrived at the current cover through inspiration from a photo seen in a newspaper. 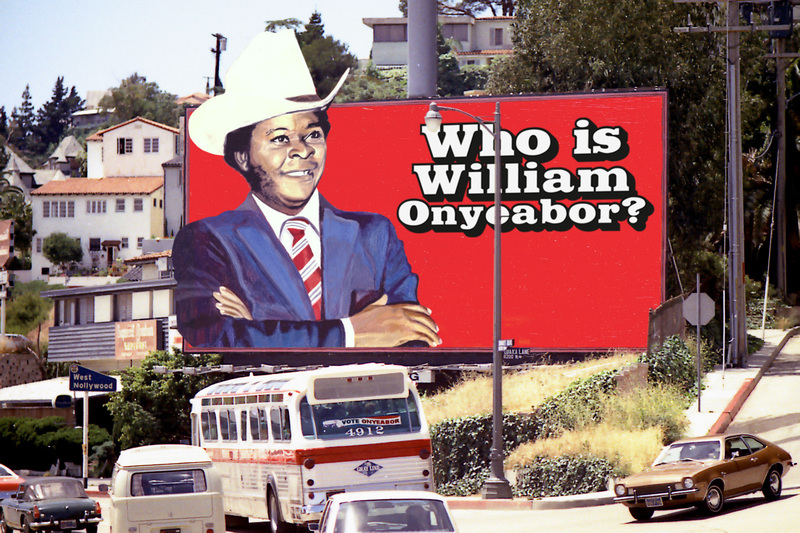 I found the mdf panel that I painted Onyeabor on in an alley near my flat in San Francisco, and initially included the title but in a hand drawn font. 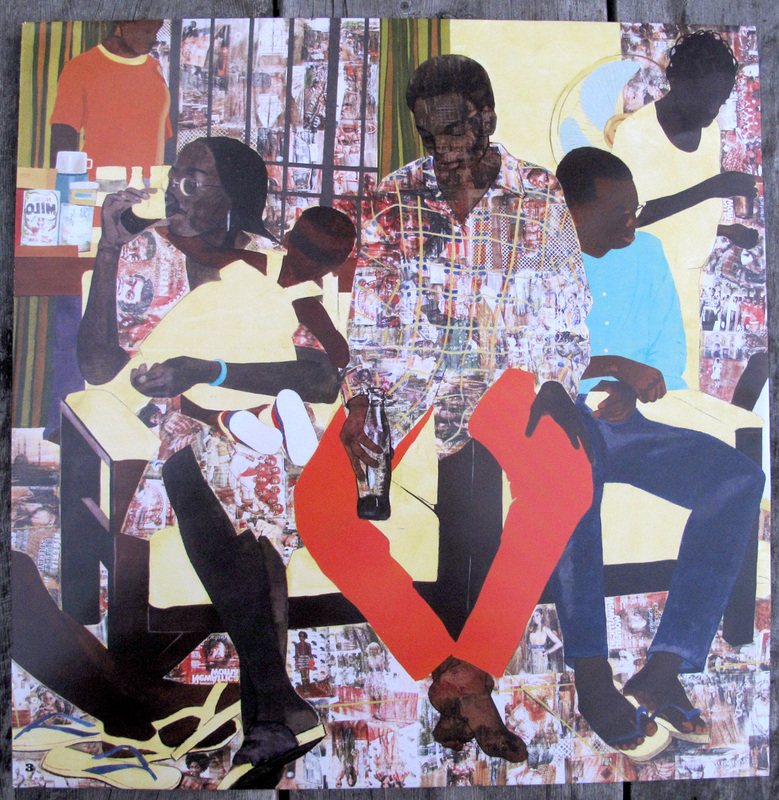 Later, after this cover was chosen, I gave Luaka Bop the original painting, and tried to saw off some of the excess area around the image, but the mdf proved too tough to cut, and they arrived to have breakfast with me before I could finish. 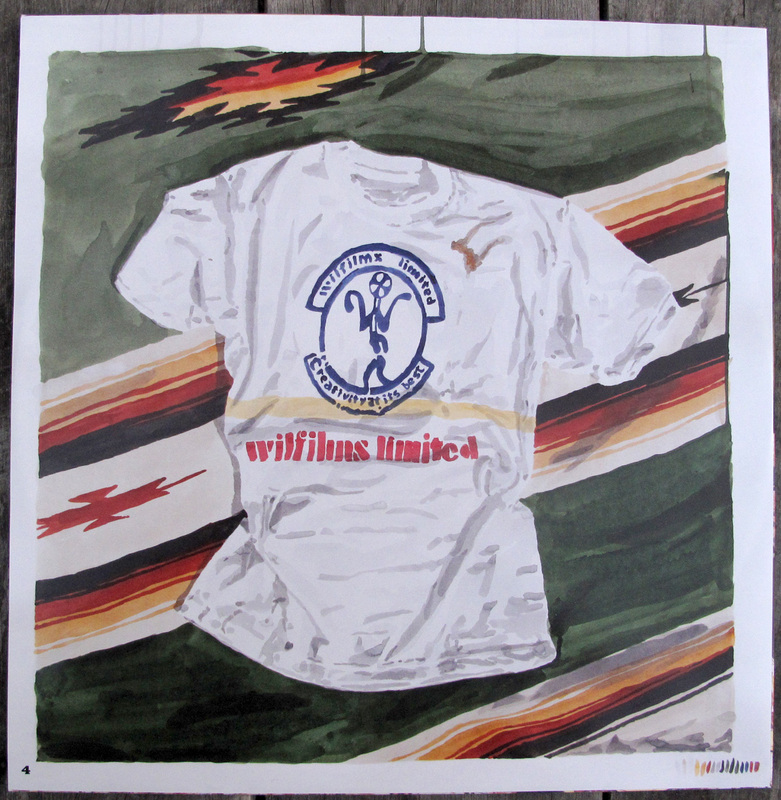 This left the original with a sawn gash halfway through and a red blotch at the bottom from the red I used to cover over the text that I originally painted on it. 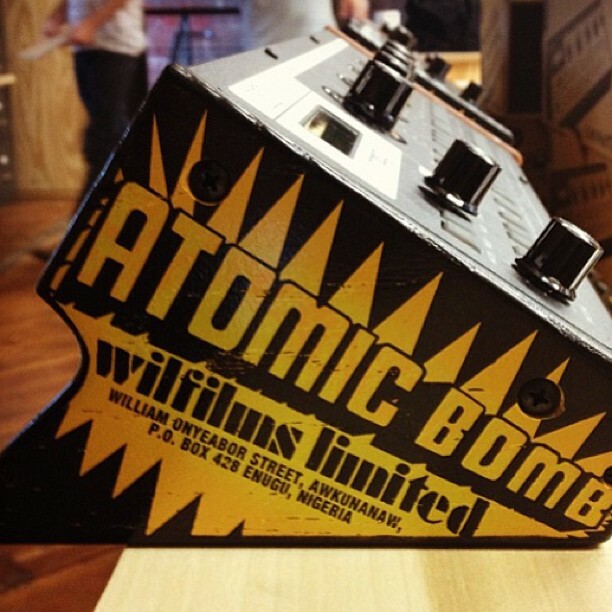 It's currently hanging in their office. 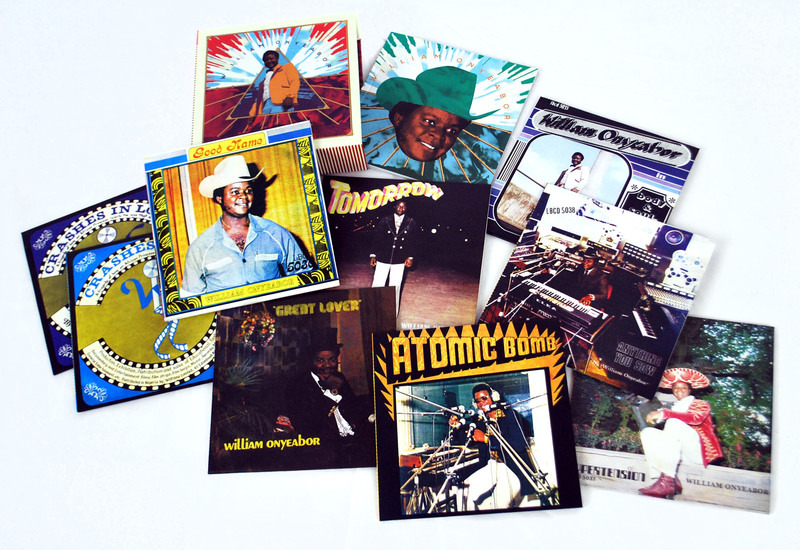 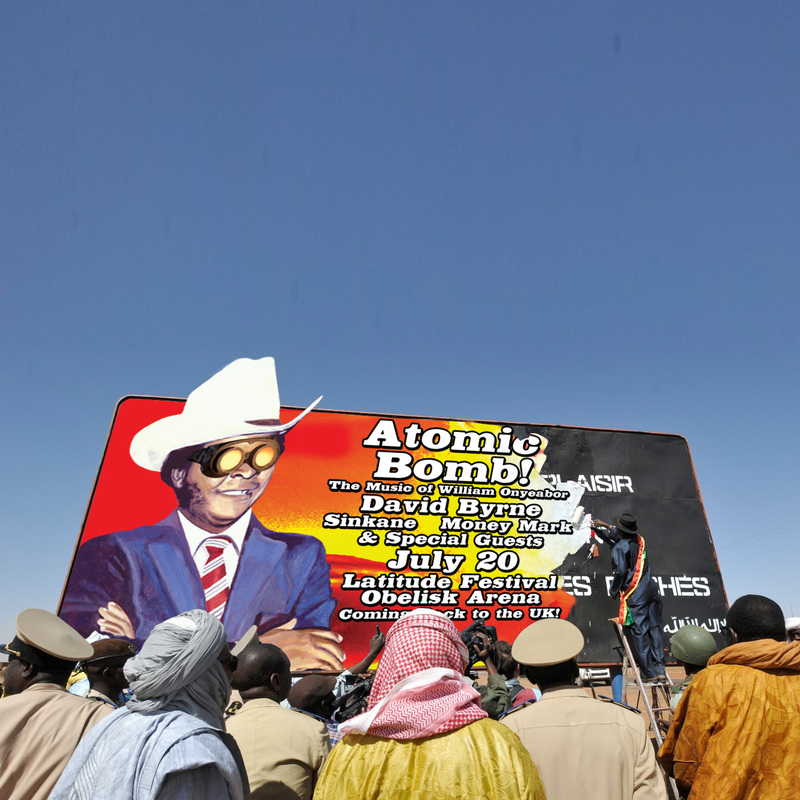 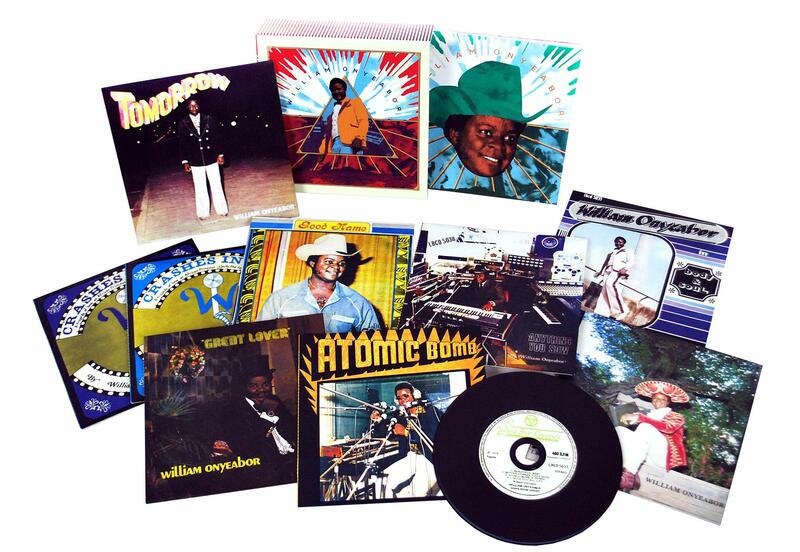 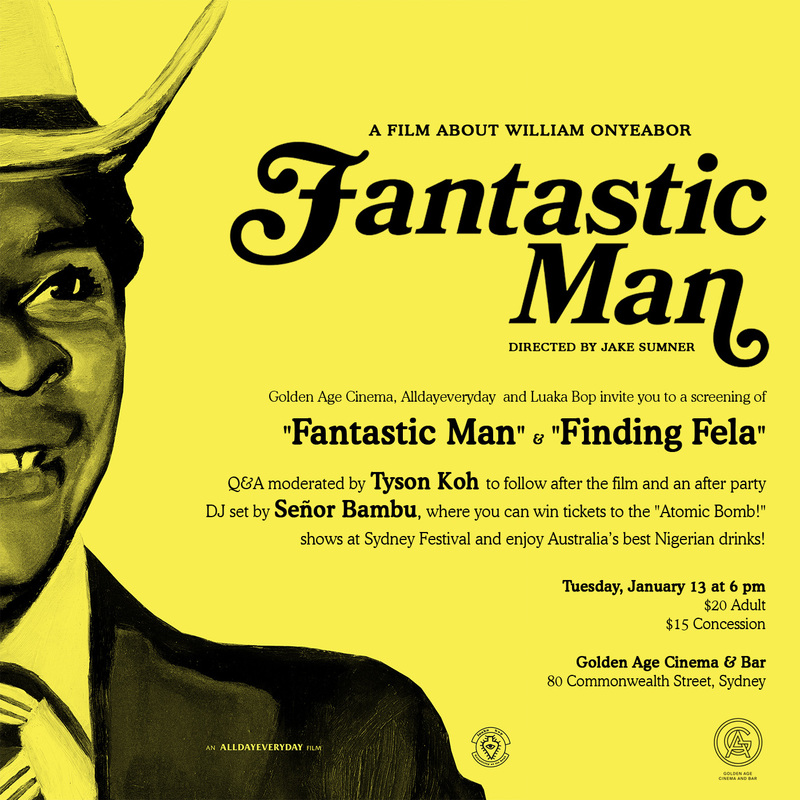 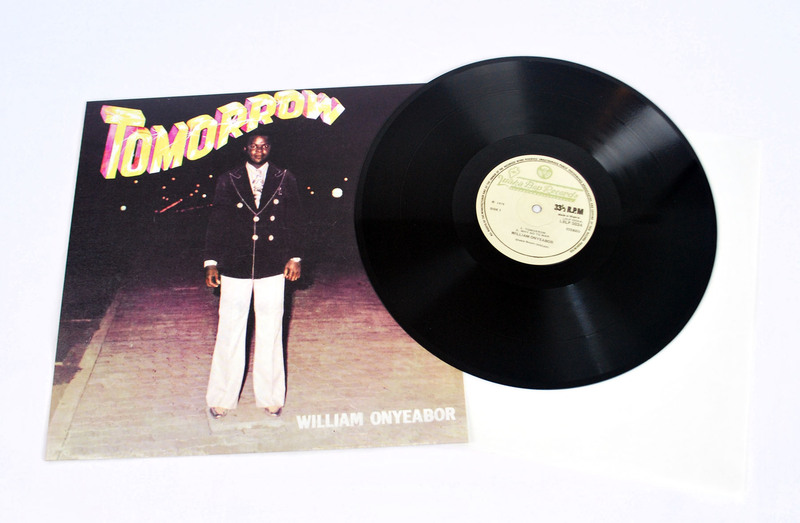 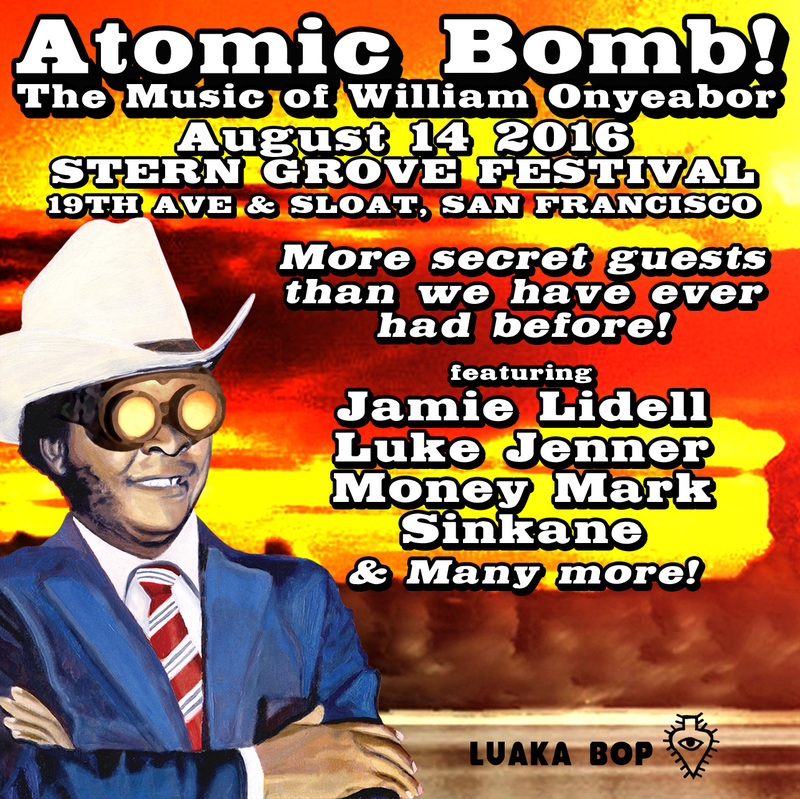 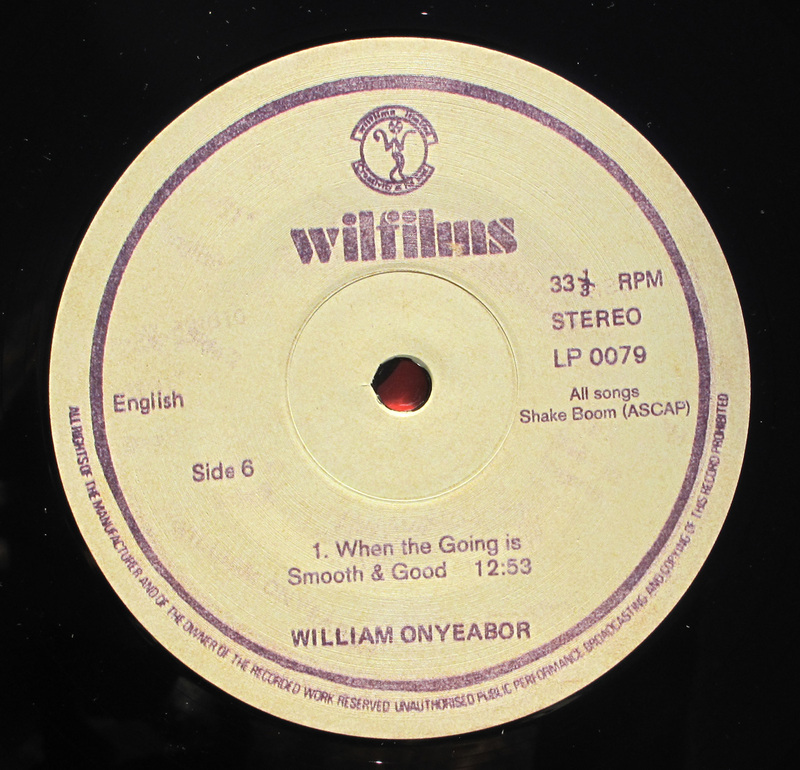 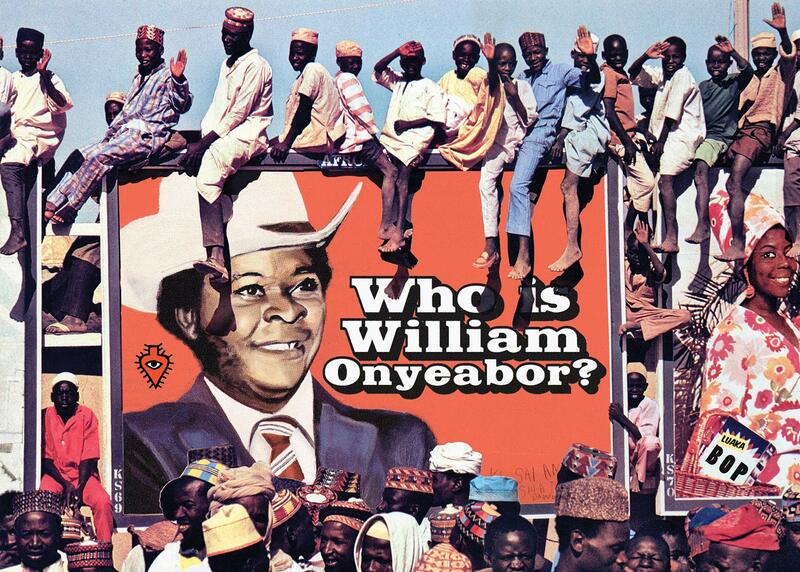 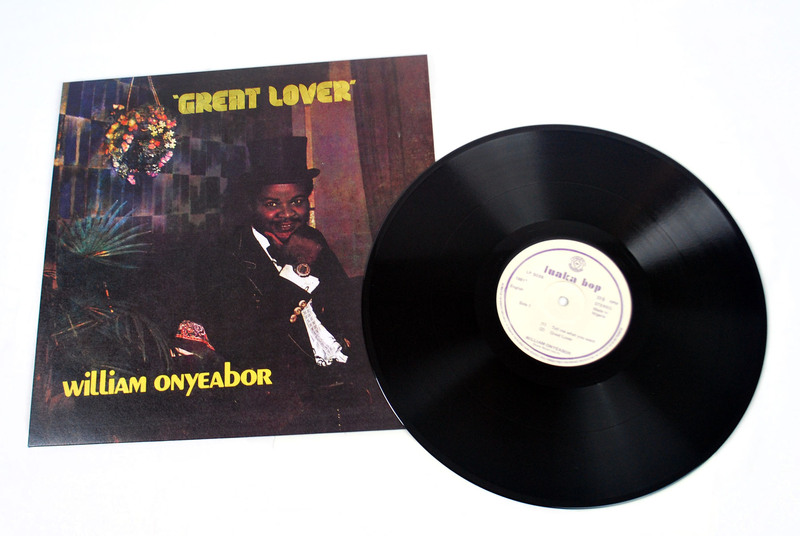 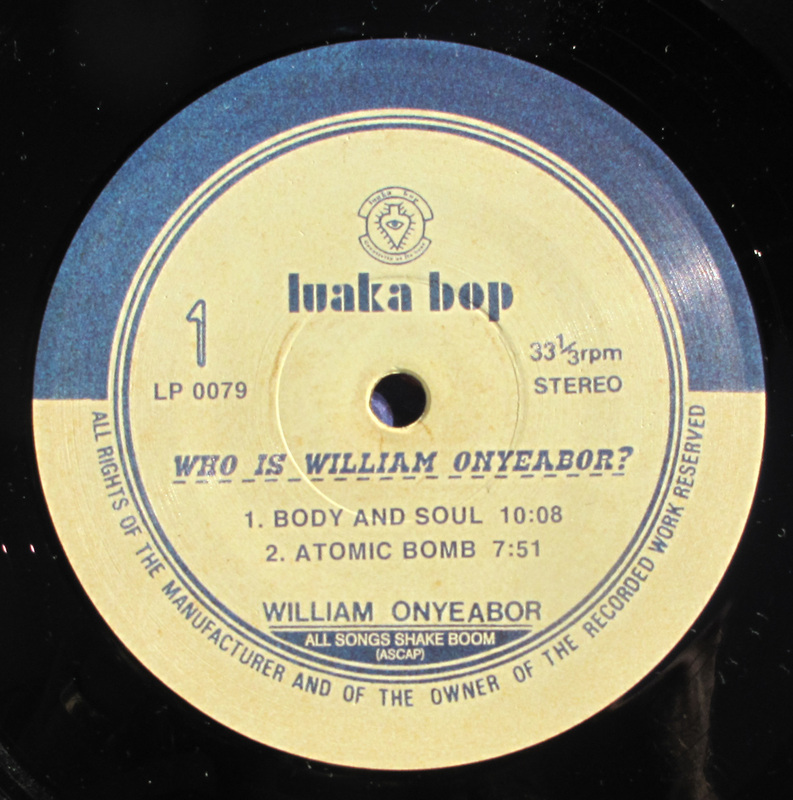 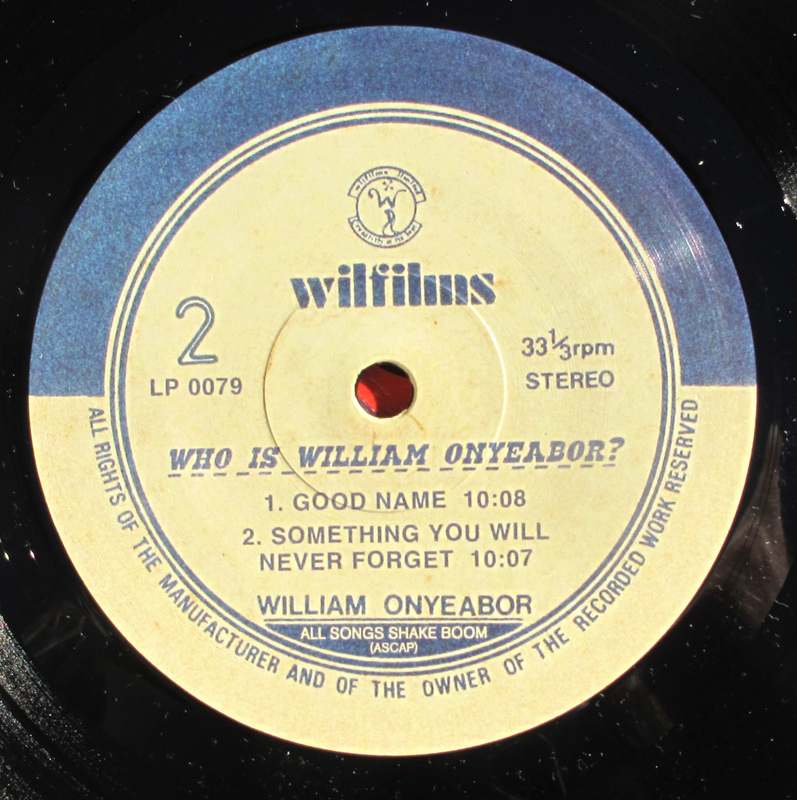 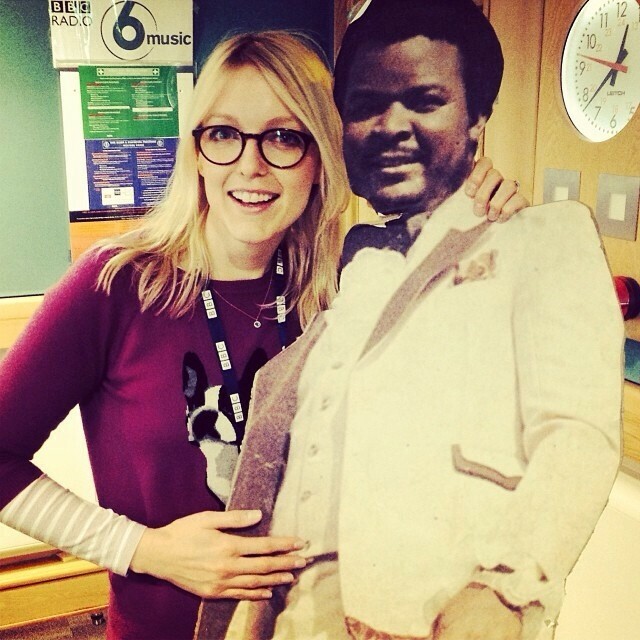 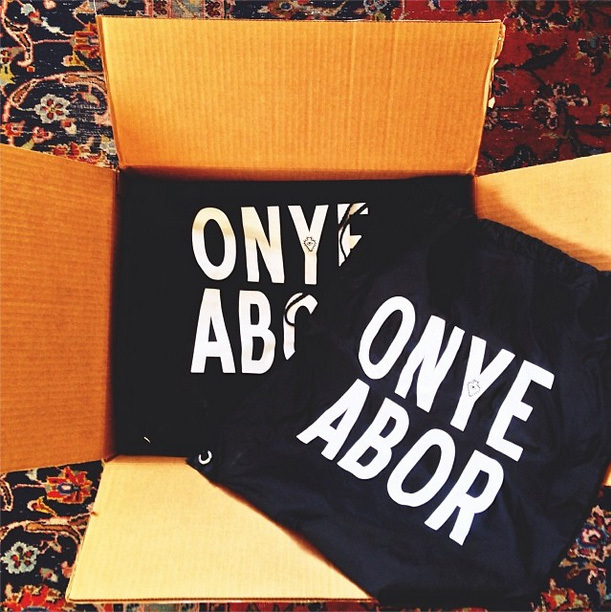 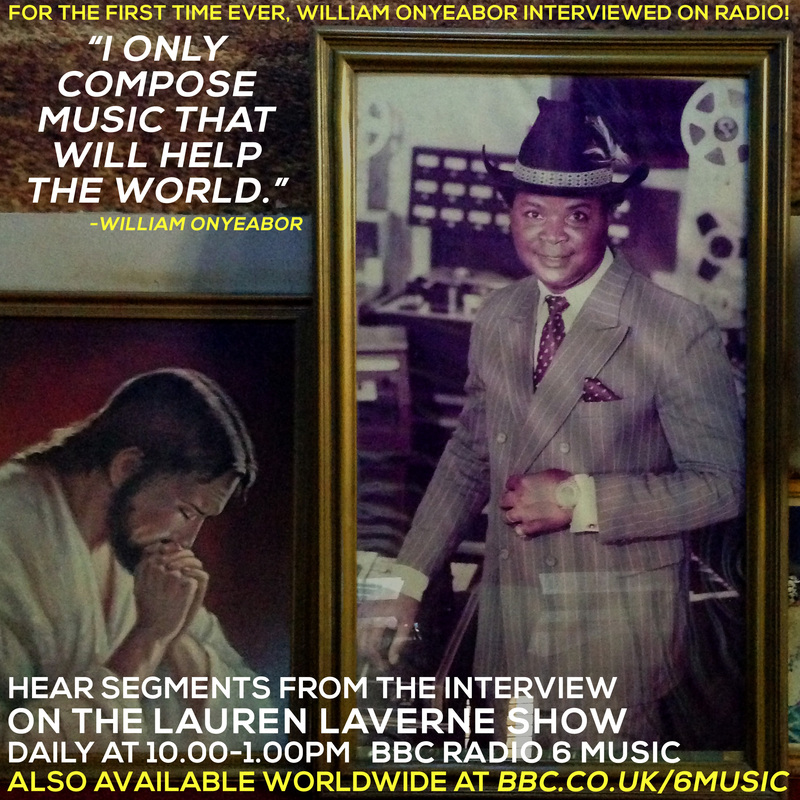 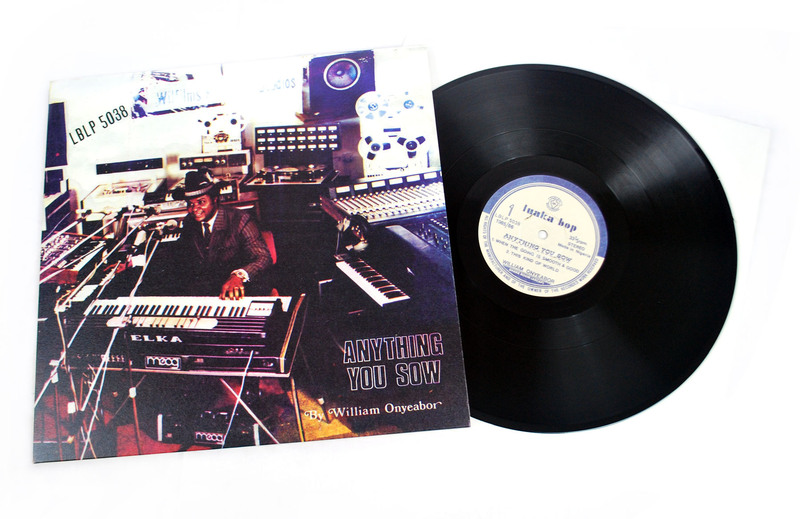 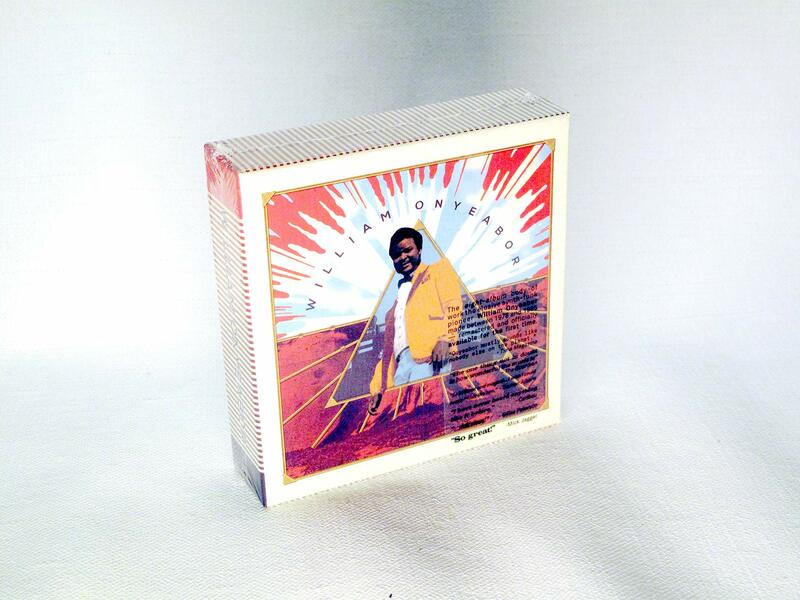 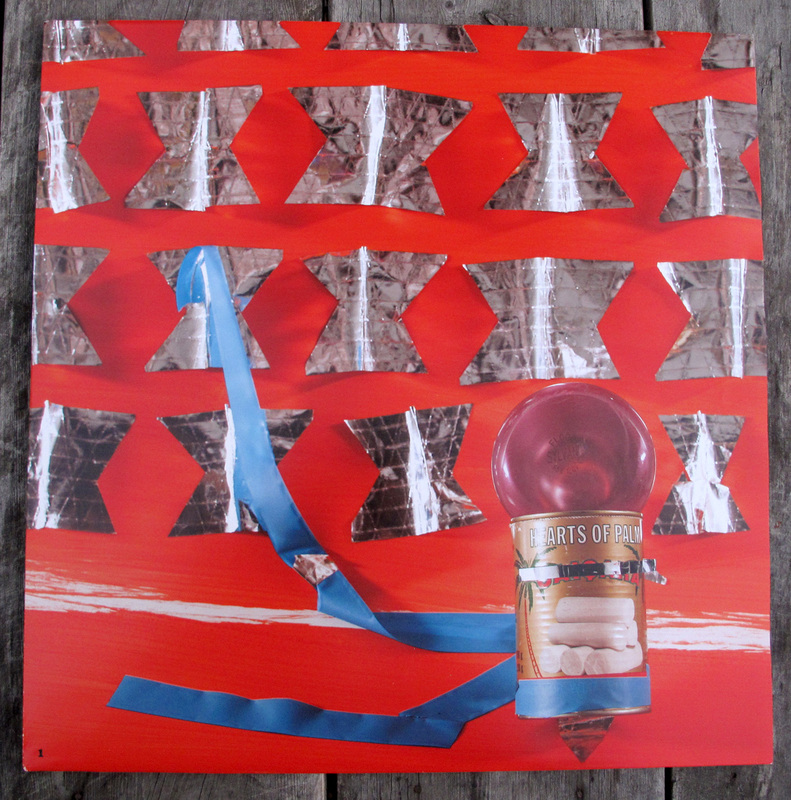 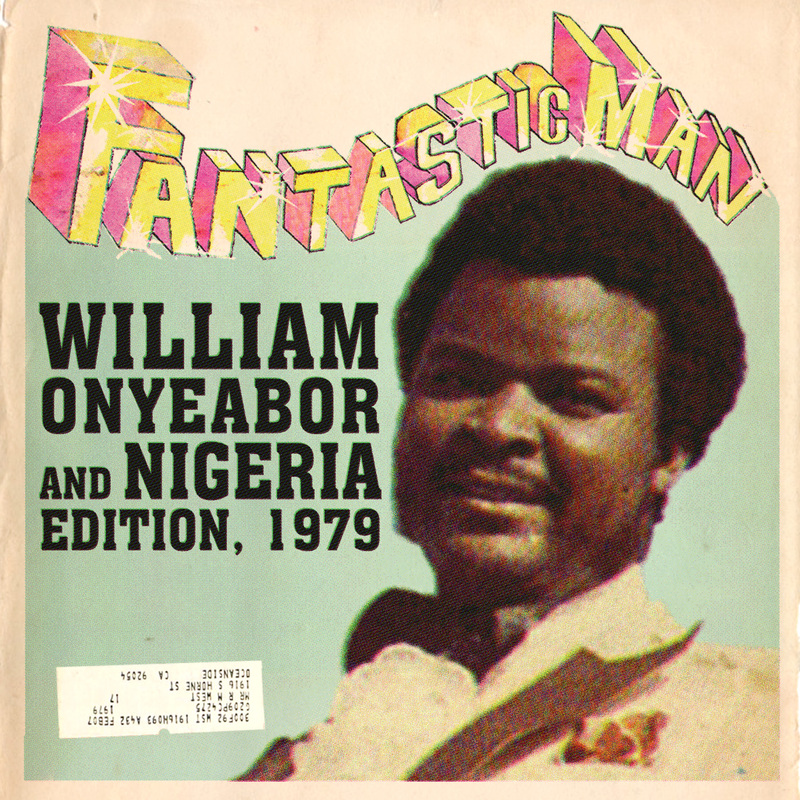 For the inner sleeves of the packaging of Who is William Onyeabor? 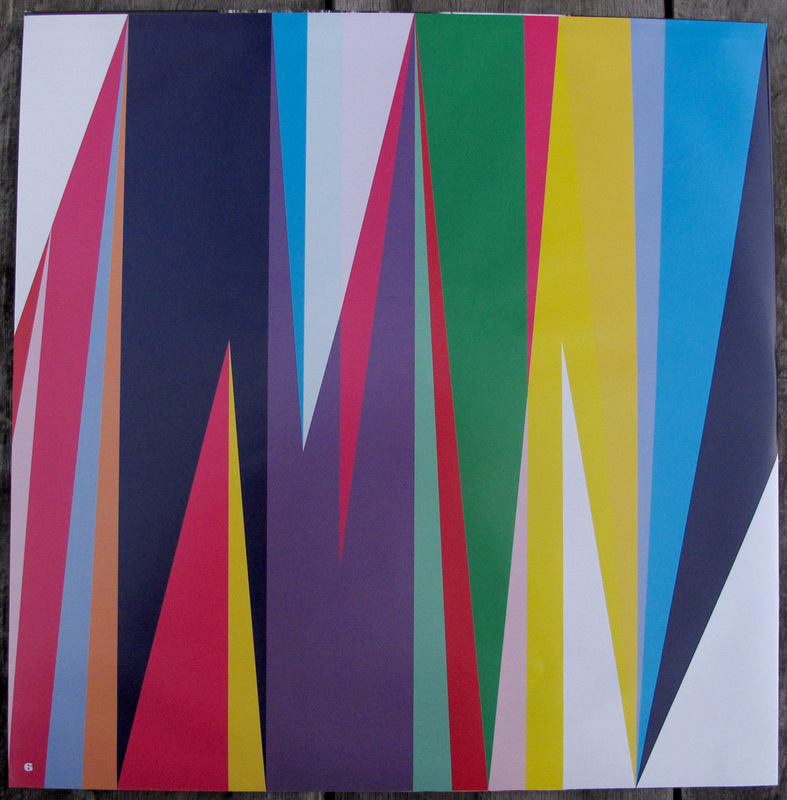 we asked the curator Trevor Schoonmaker to curate a series of artworks that related to the music, and he chose the images and artists that are featured there. 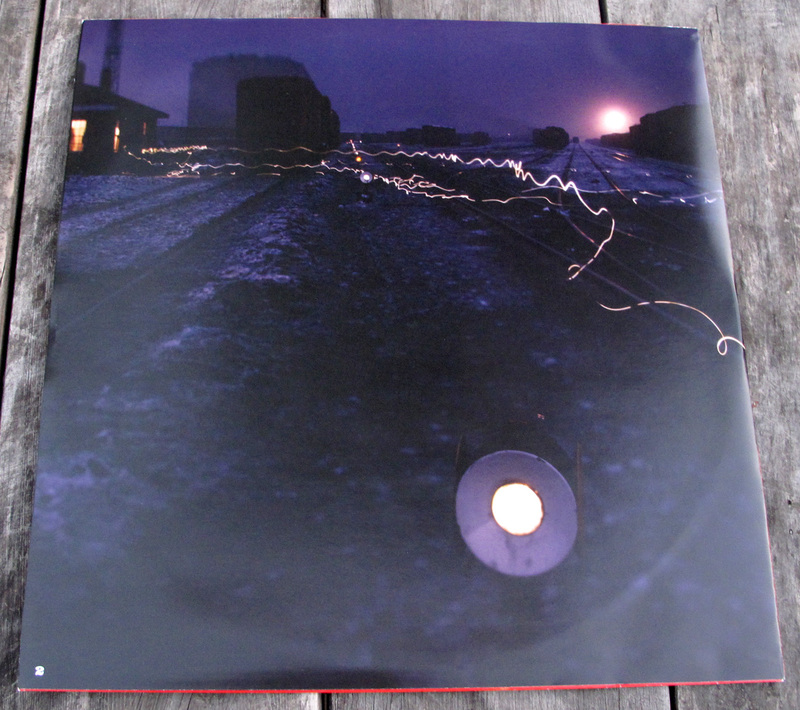 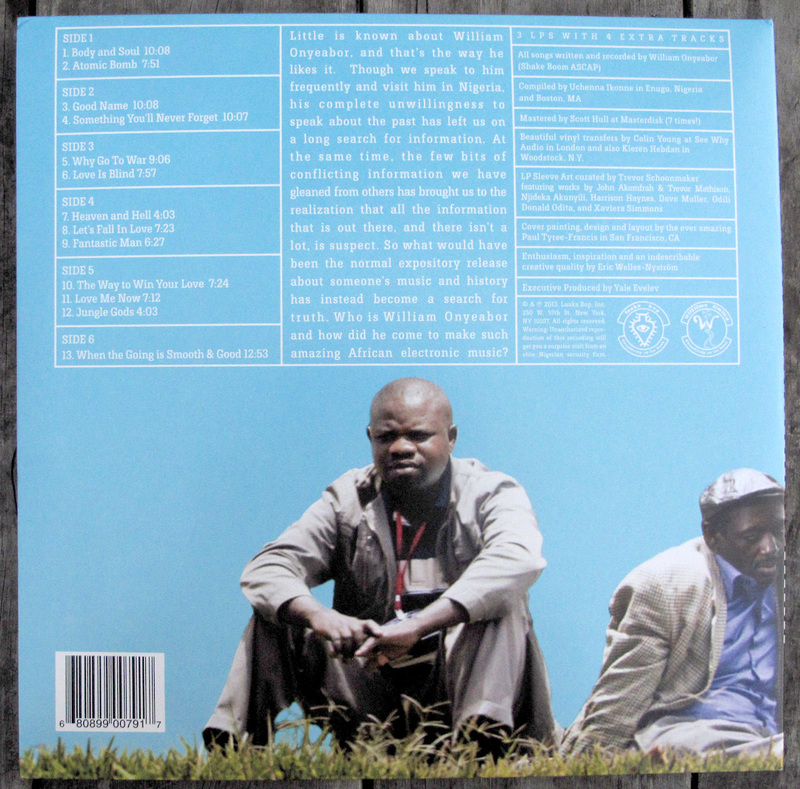 The back cover of the LP features two men whose faces I actually transplanted from elsewhere to make them composited. 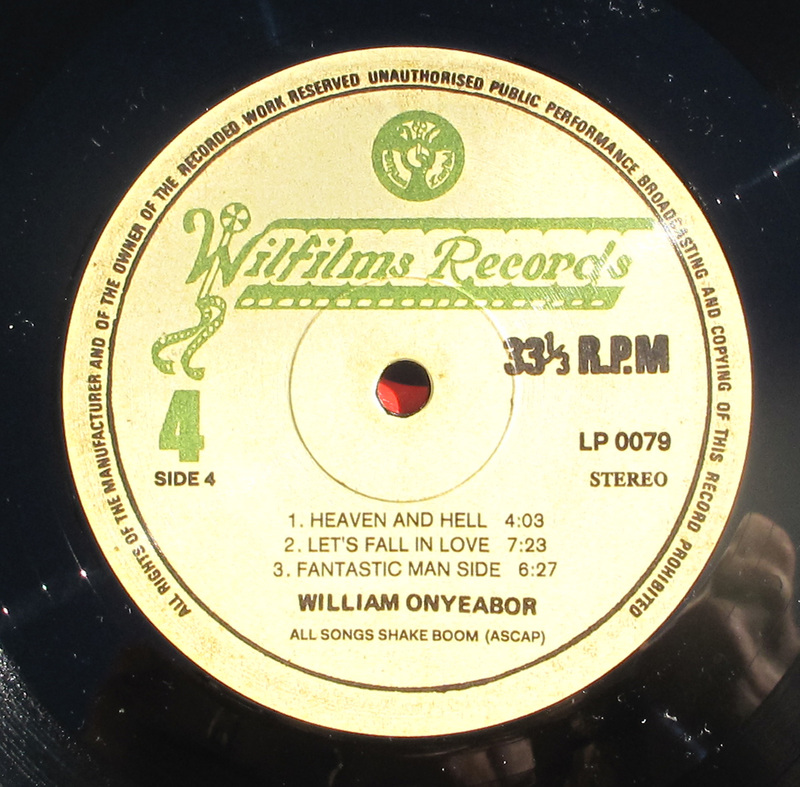 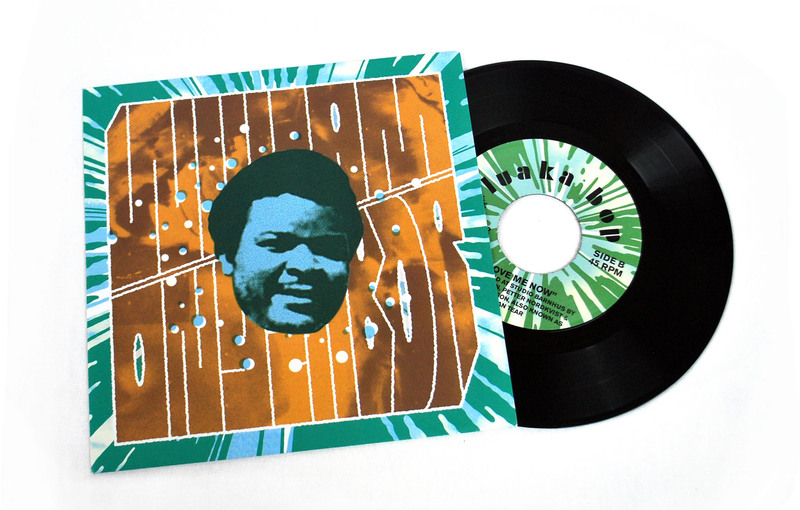 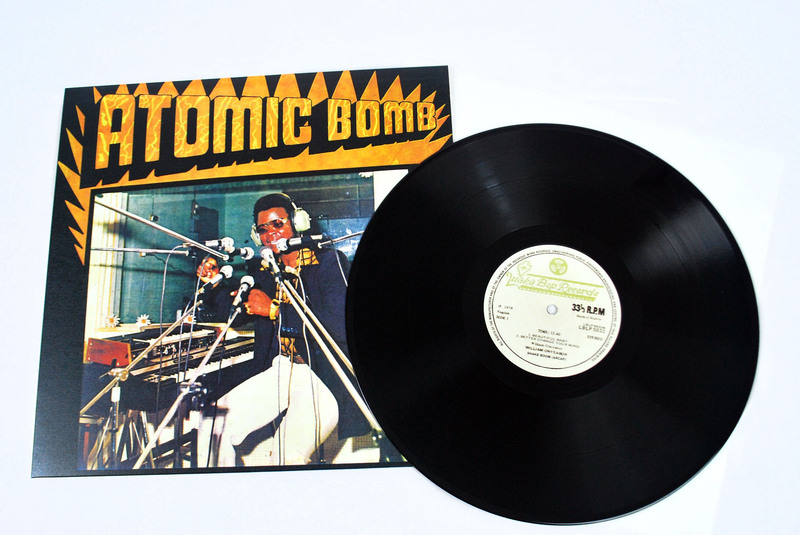 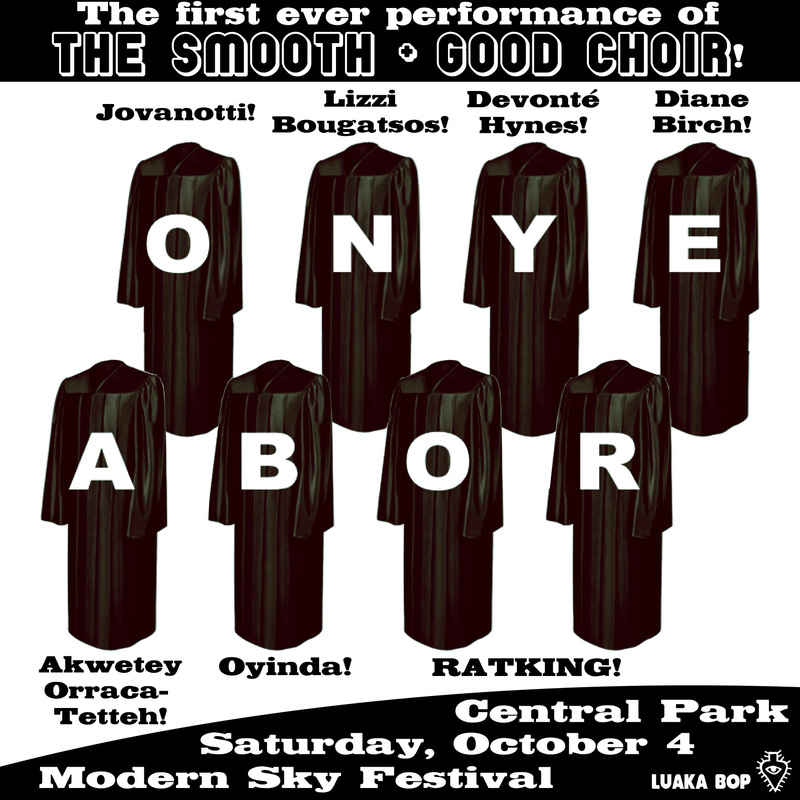 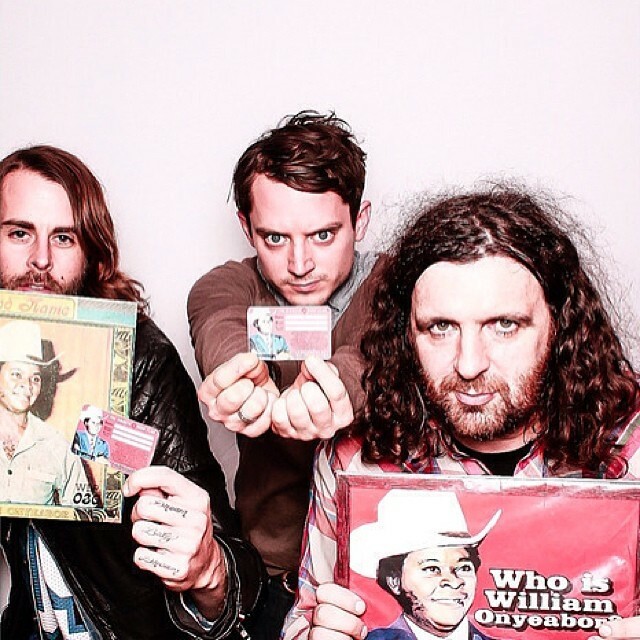 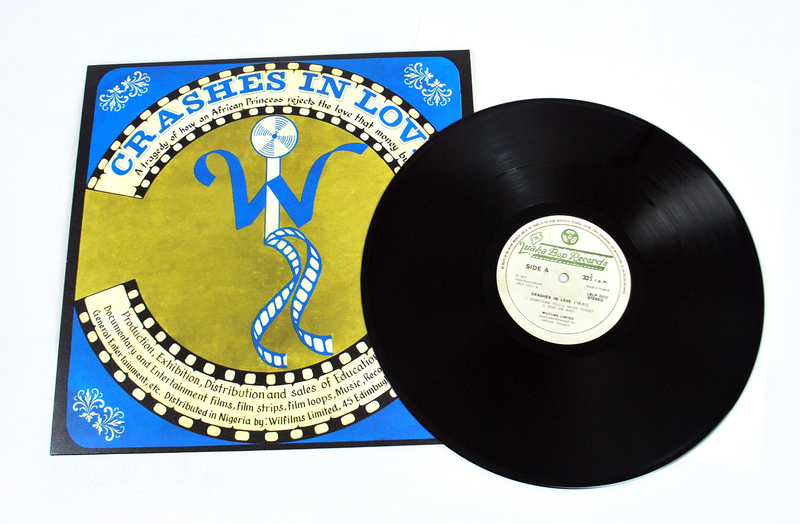 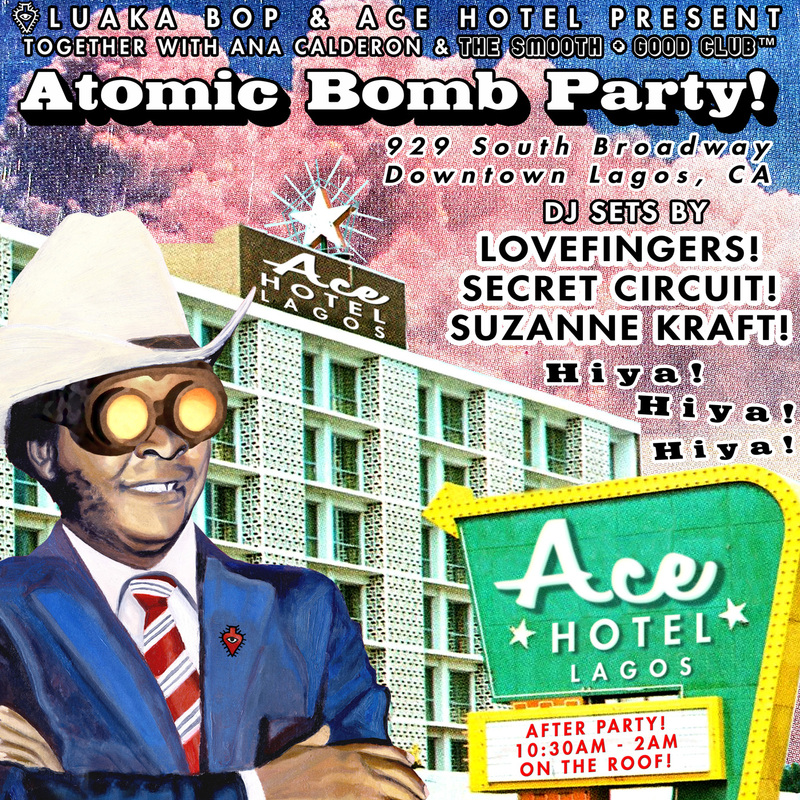 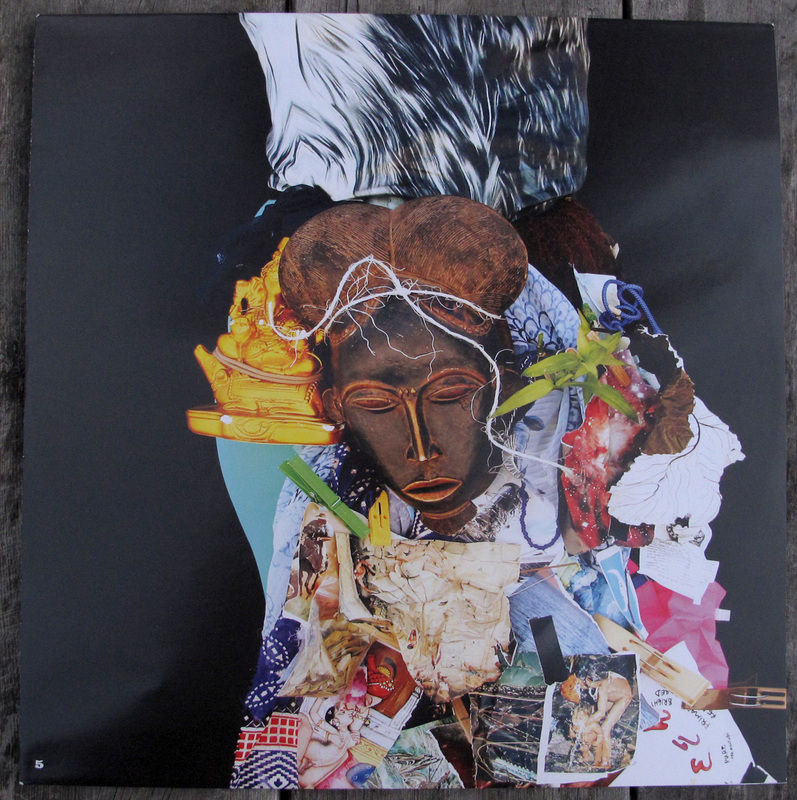 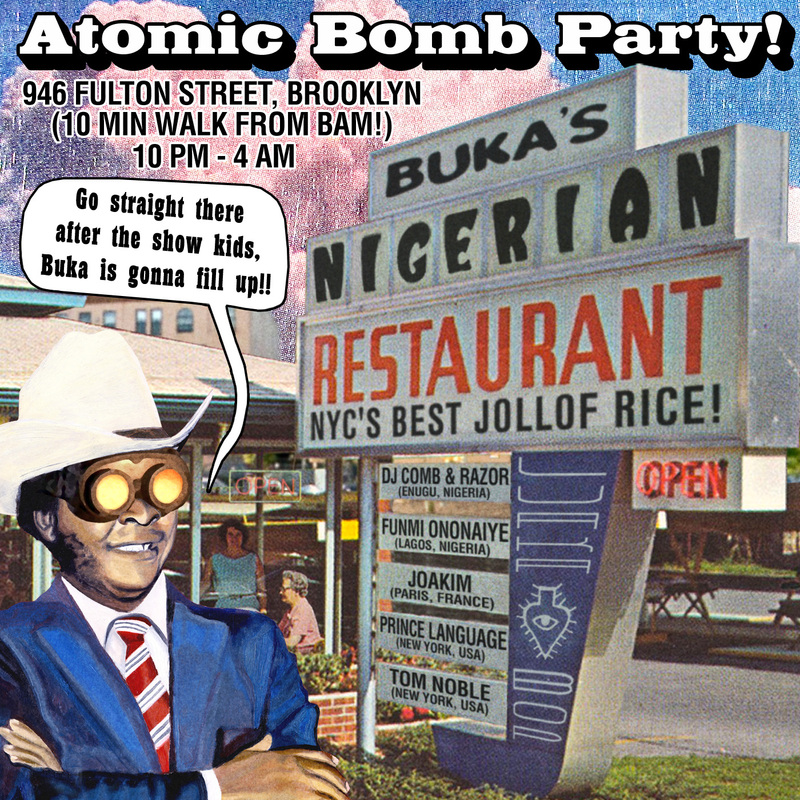 The LP labels are reworkings of the original LP labels from Onyeabor's self released catalog. 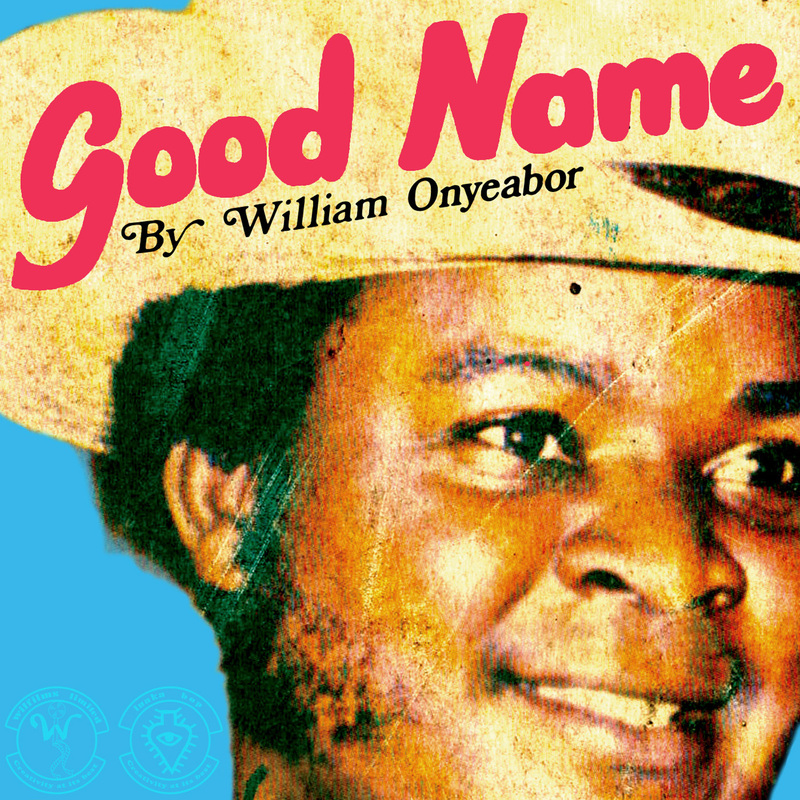 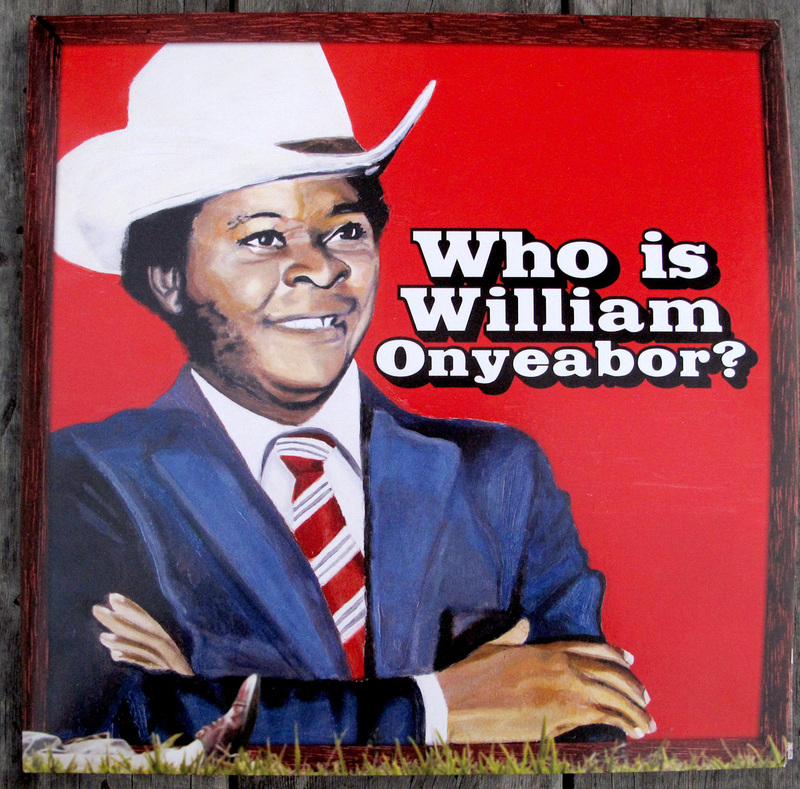 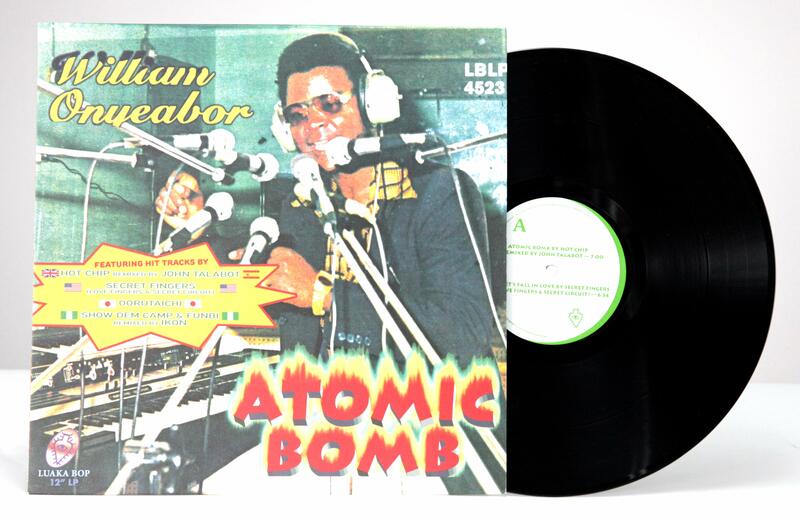 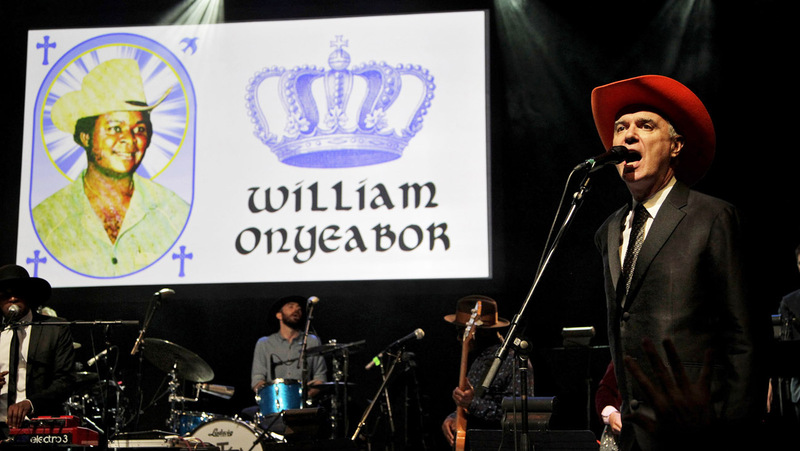 Who is William Onyeabor was so well received that we later compiled all of Onyeabor's recorded output and released two box sets of his records, including singles of some remixes and Onyeabor talking on the phone. 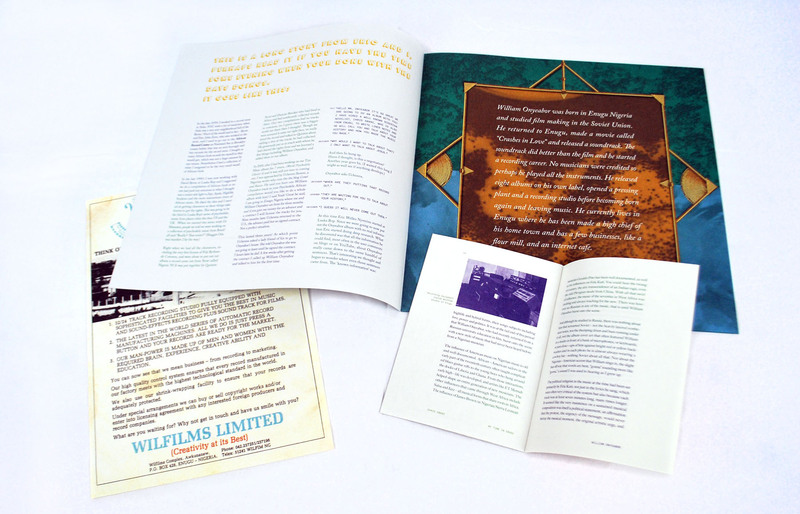 I helped with the layout of the booklets and reworking the original, quite distressed covers to look more new and perfect. 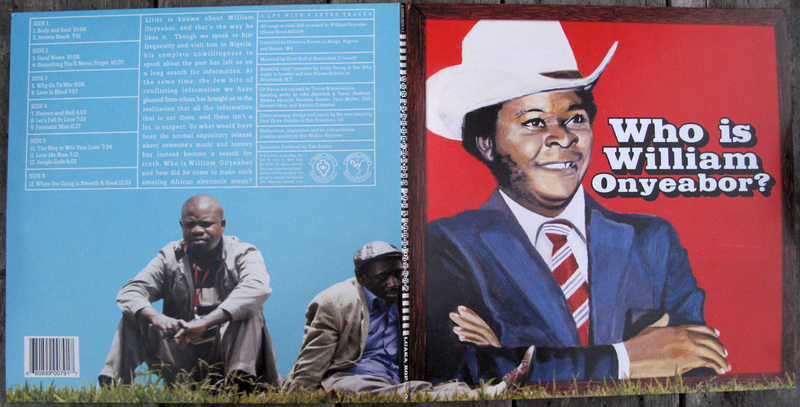 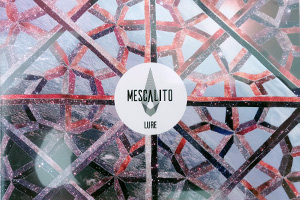 Hella Yego did the box set covers and designed the booklets. 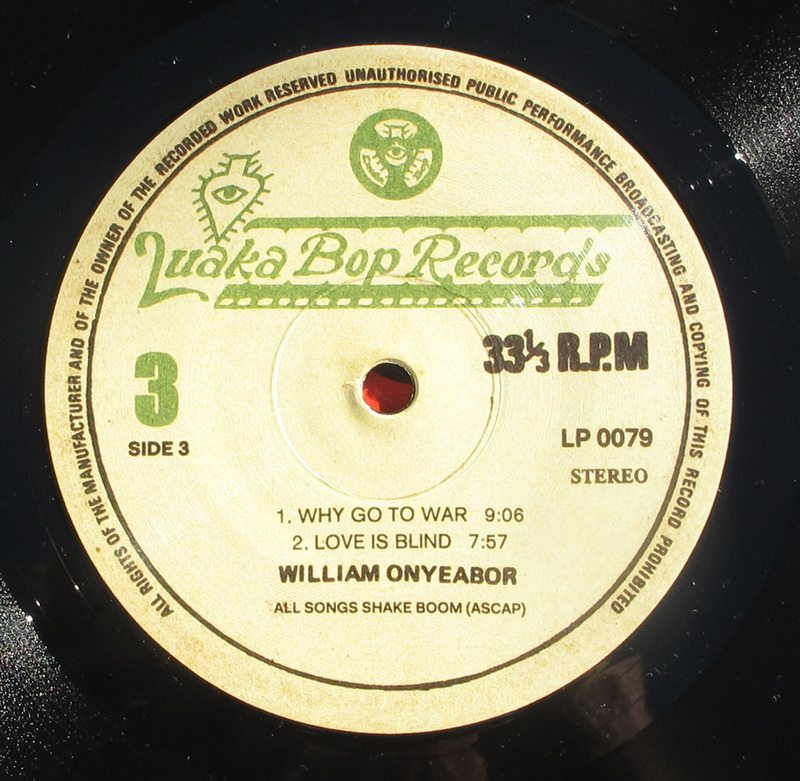 I made the labels for the 45s. 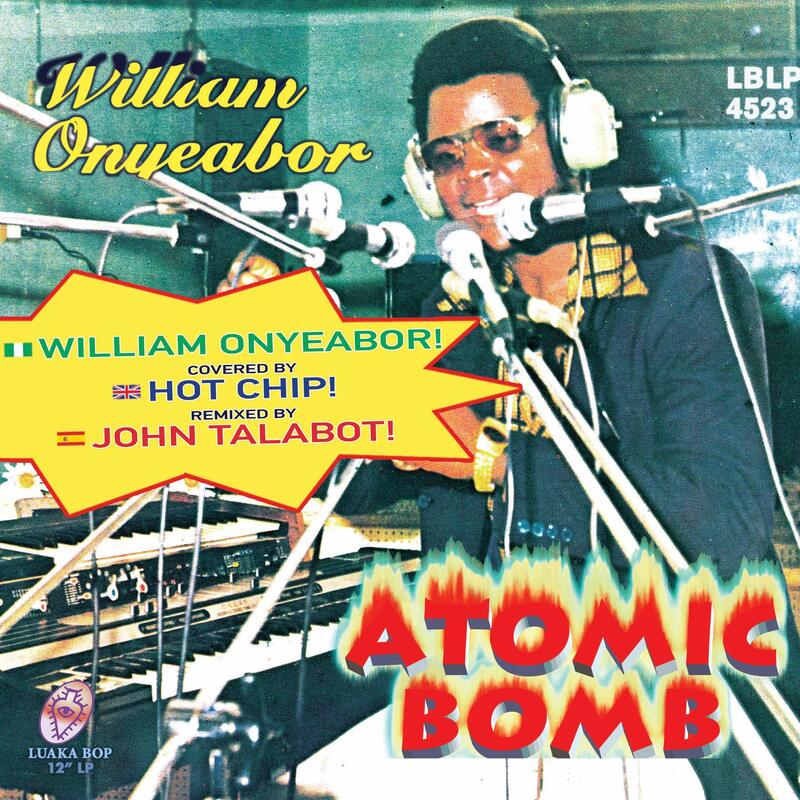 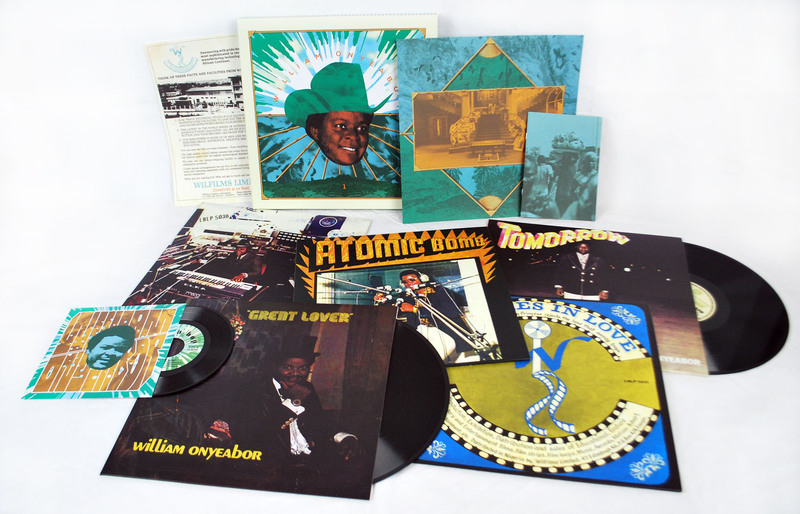 Below are the covers I made for the singles we released of Onyeabor's music and remixes thereof, including a 12 Inch that I designed for Record Store Day that features a John Talabot remix of Alexis Taylor singing Atomic Bomb, along with other great producers. 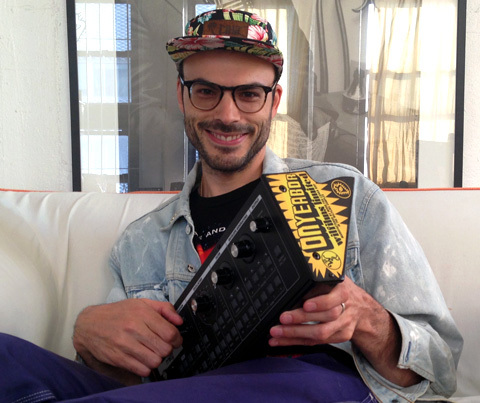 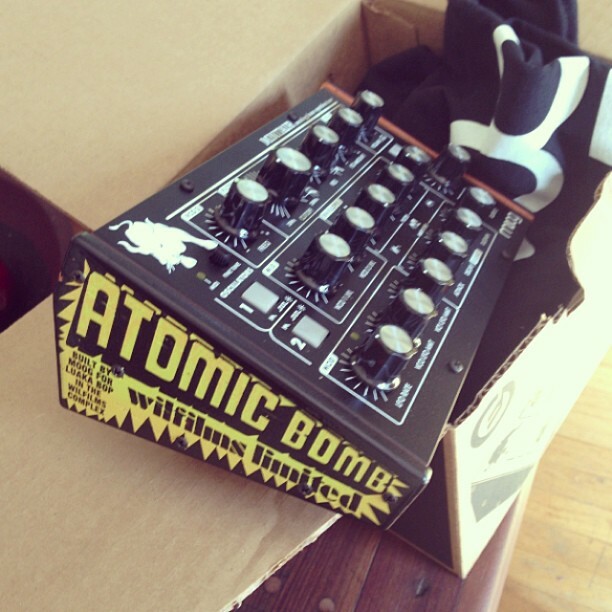 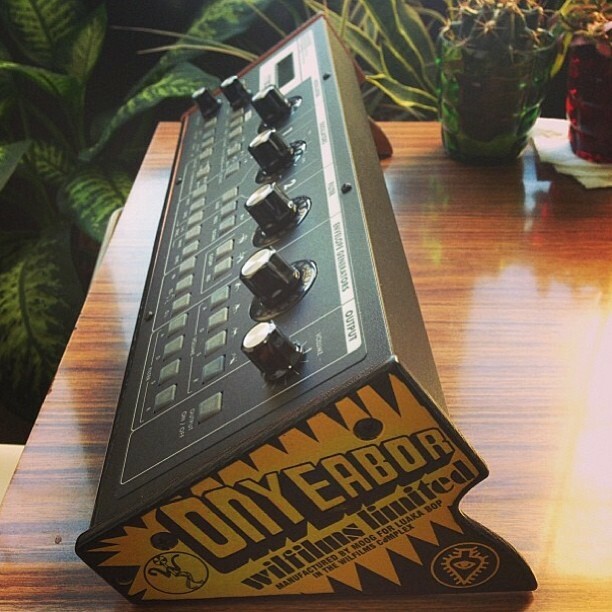 Luaka Bop teamed up with Moog to produce these custom Onyeabor inspired Minitaur mini moogs that I was asked to do the designs for. 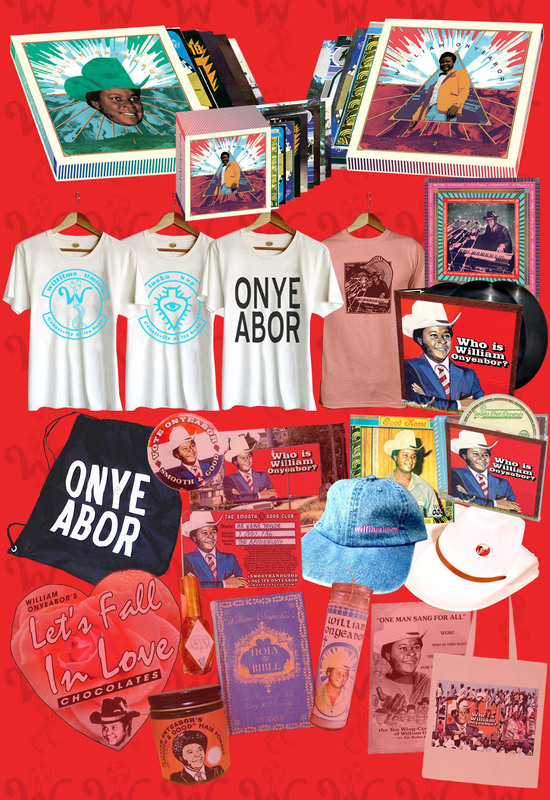 WE gave some away to artists that helped us, some depicted below. 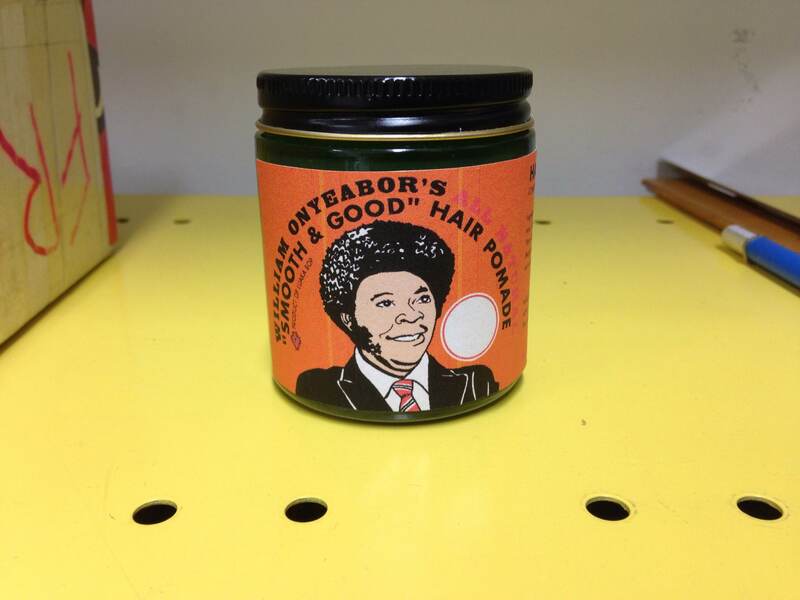 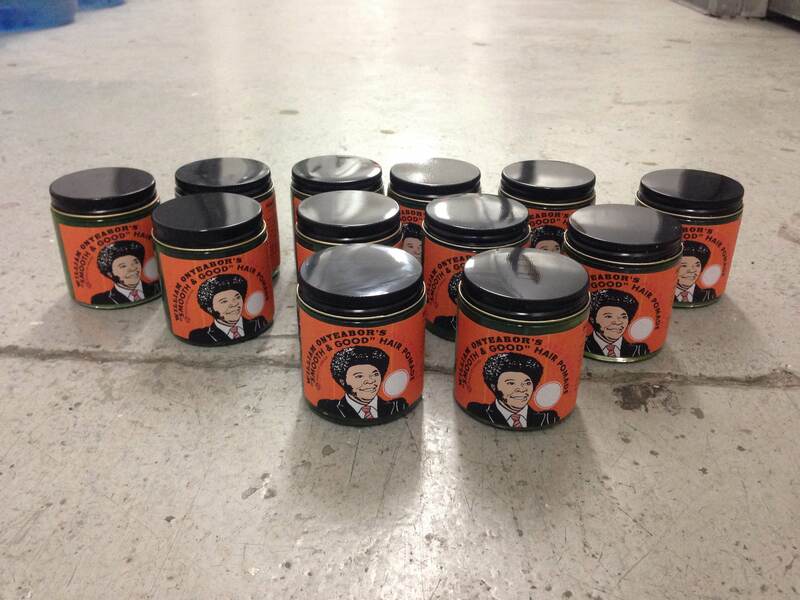 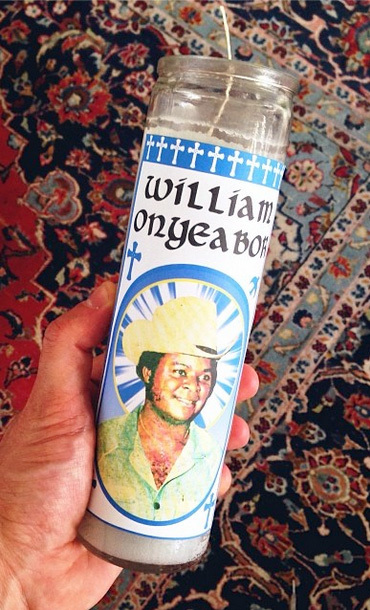 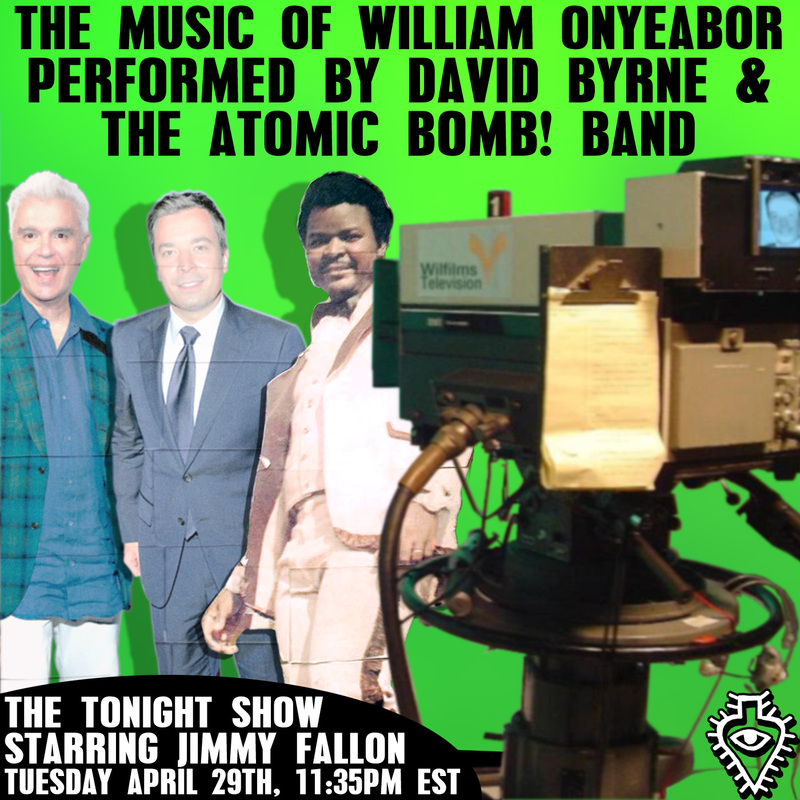 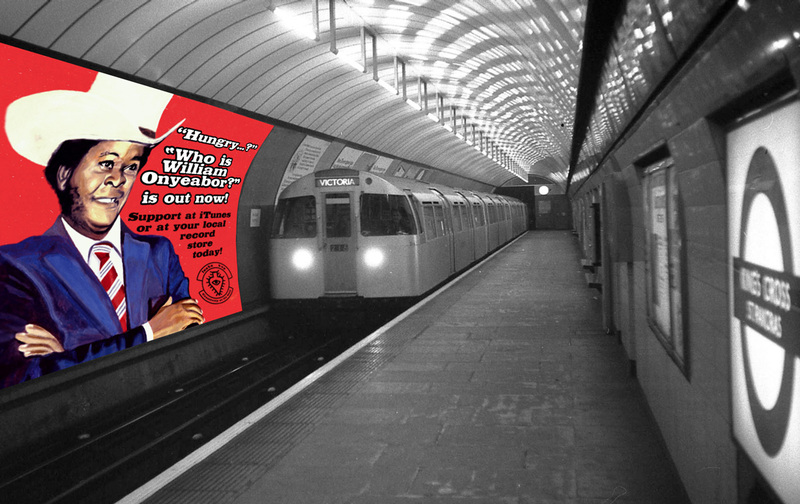 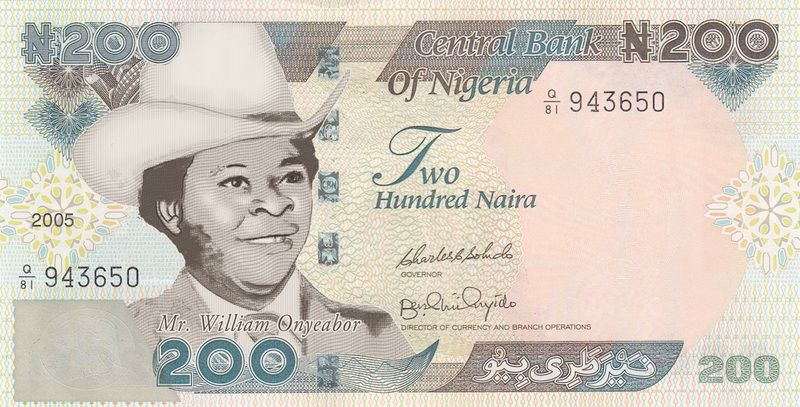 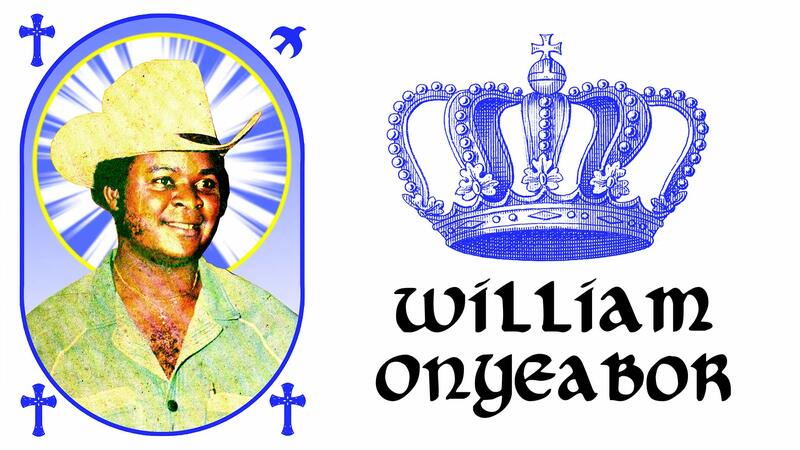 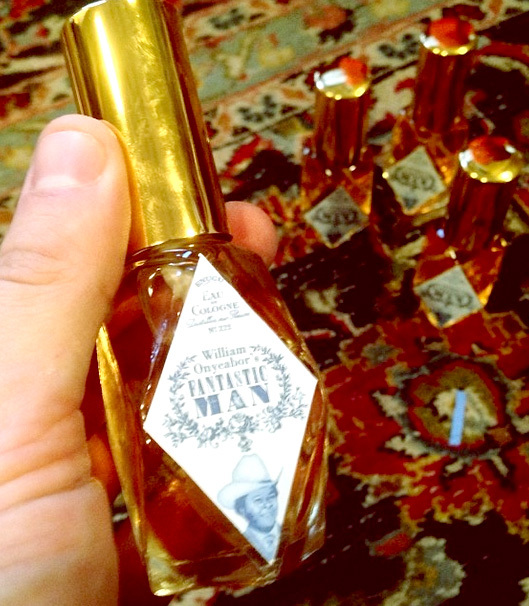 I produced everything imaginable for our Onyeabor promotions including labels for pomade, candles, cologne, a bible, a life sized cut out of William, t-shirts, you name it. 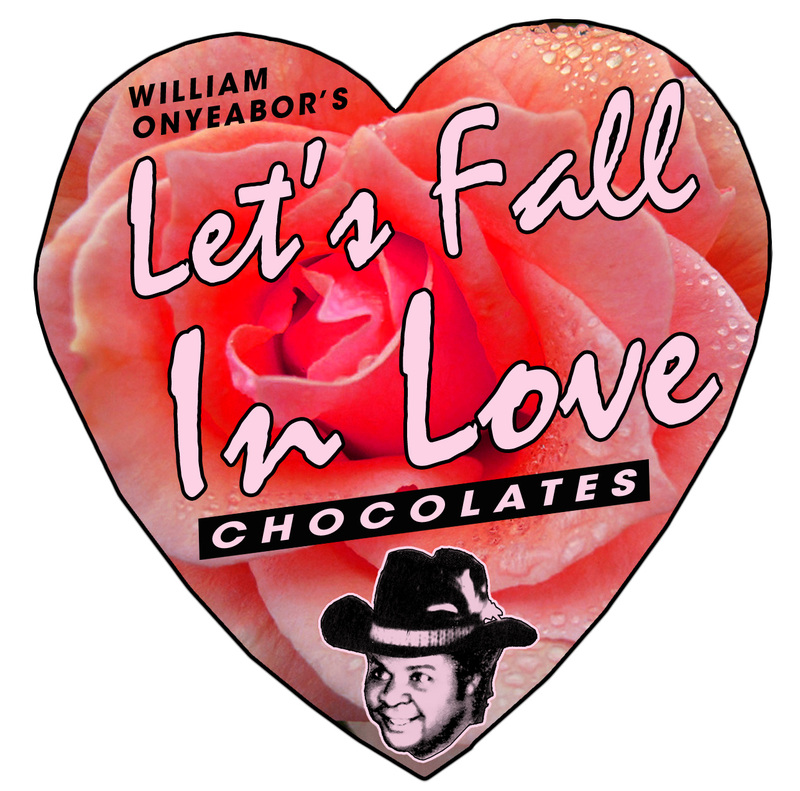 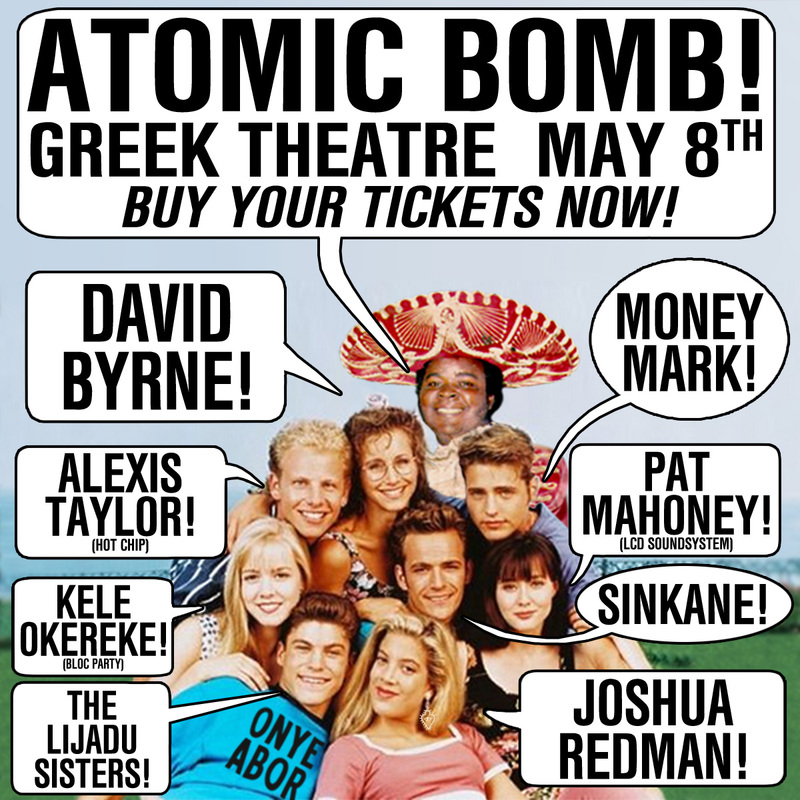 Below are some ads that I made for our various Onyeabor related projects.